Drop the mic with this microphone modeled after artist renderings of this assassin gone rogue. This mic comes from the popular K/DA skin series. The microphone comes in two parts that can easily be assembled together. Spend more time showing off your dance moves. 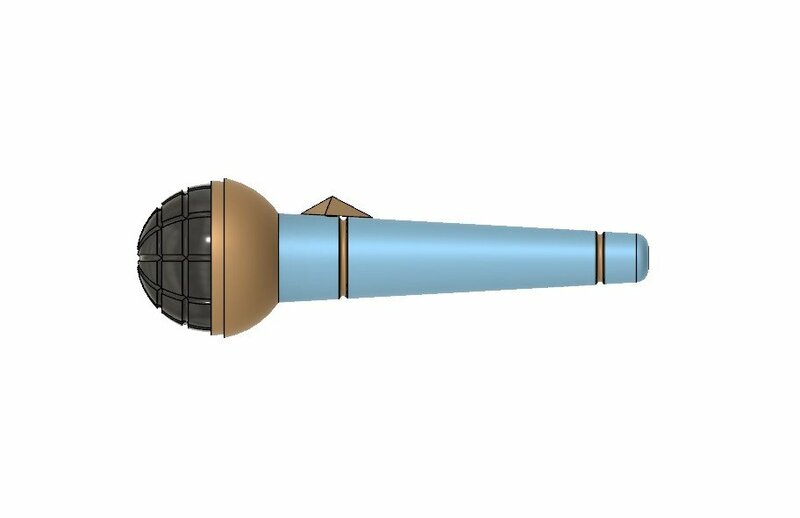 Just print up this mic, assemble it, smooth it out, and give it a nice paint job. Dimensions approximately: 200 mm x 62 mm x 52 mm. Scale according to your needs.